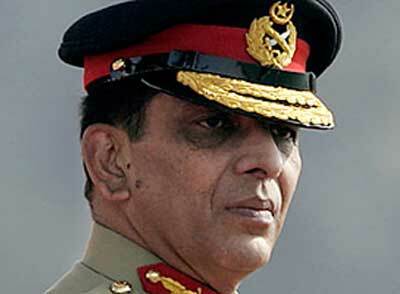 Chief of Army Staff (COAS), General Ashfaq Parvez Kayani visited Headquarters of Gujranwala Corps on Friday. COAS was briefed about the progress of IT infrastructure and capability development, in the backdrop of Pakistan Army’s drive towards computerization and IT based management. Later, COAS visited a unit to witness the user end deployment of the system. COAS appreciated the progress made and emphasized that, to allow optimum utilization of the new system, training of users must remain the prime focus of commanders. Earlier, on arrival, COAS was received by Lieutenant General Raheel Sharif, Commander Gujranwala Corps. This entry was posted in ISPR Press Releases, News and tagged Army, Corps HQ, Gen Kayani, General Kayani, Gujranwala Corps HQ, ISPR, Pak Army, Pakistan Army. Bookmark the permalink.